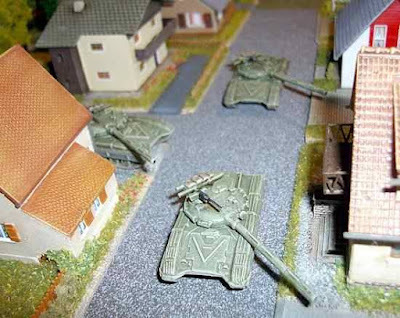 For almost 50 years the armies of NATO and the Warsaw Pact faced each other across the Inner German Border before the collapse of the Soviet Union and the Warsaw Pact. This range will cover the armies of NATO and the Warsaw Pact during the mid-1980's. This period saw the introduction of state of the art weapons, vehicles and technology which would soon dominate the modern battlefield, while the bulk of the equipment comprised older tried and tested designs dating back to the 1960's and 70's. The vehicles are designed to 1/144 scale, and are fully compatible with our range of 10mm buildings and scenics. 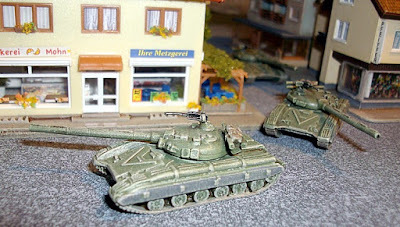 The first release is the Soviet T-64B tank. The T-64B was the mainstay of the Soviet Tank Regiments in GSFG by 1984.